With increasing frequency Costa Rica is being used as movie set for foreign filmmakers. Like in “After Earth”, the epic science fiction movie, where Will Smith and his son Jaden play two galactic travelers stranded on a hostile planet of the future. 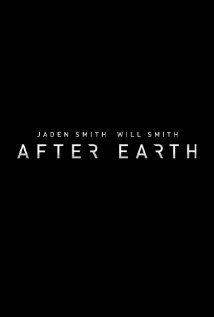 “After Earth” opening on June 9 was shot in Costa Rica, starring Will Smith and his son Jaden. Notice the Arenal volcano in the backdrop of the promo for the film? (Move trailer below.). The curious thing about this film, directed by M. Night Shyamalan, is that much of the exteriors were filmed in Costa Rica, especially in the area of ​​La Fortuna de San Carlos. This is not the first time and probably not the last-that Costa Rica is used as a movie set by a foreign production. With the warmth of its people, its natural wonders and its extraordinary variety of flora and fauna, Costa Rica is a coveted tourist destination, promoted abroad as an earthly paradise. 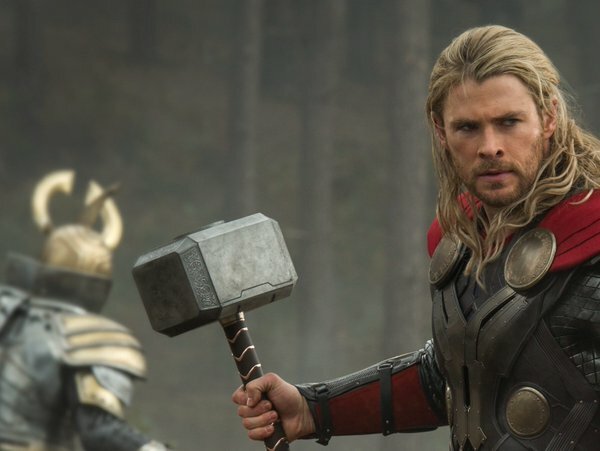 Many times, a film has been responsible for an increase of the reputation the country that spreads throughout the world. However, not all the films shot in Costa Rica have offered an honest portrayal of Costa Rica and its people. For starters, there are a number of films, mostly American made, which mention Costa Rica. Almost all these films follow the same pattern: identifying the country as a wonderful place, but also as a place to hide out. Numerous films suggest, directly or indirectly, that Costa Rica provides shelter for criminals. This apparently is where gangster, drug dealers and criminals in general, may start a new life and comfortably enjoy the fruits of their crimes. 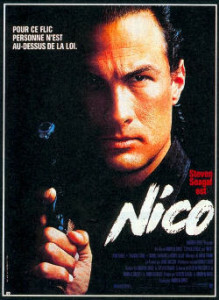 “Nico”, starring Steven Seagal, was the first such films. Quentin Tarantino’s “Reservoir Dogs” and the excellent gangster drama “Casino” by Martin Scorsese also mention Costa Rica as a hideout for persons and money. 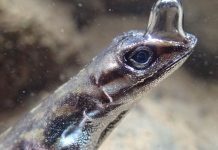 Other mentions hardly encouraging are found in titles like “The Sweetest Thing”. This clumsy and vulgar comedy, starring Cameron Diaz, caused outrage in the country, when it was exhibited in 2004, due to a nasty phrase that disrespects Rican women. Without exception, many times in movies the unfortunate trend is to depict Costa Rica as a target for sexual tourism. 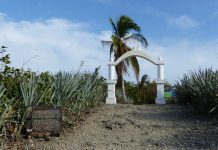 Then there is “Surf School“, a film written and directed by Joel Silverman filmed in Manuel Antonion, home to an imaginary “international surfing tournament college”. 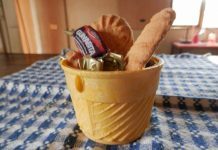 The film promotes the stereotype that of Costa Rica as a place all kind of adult fun is easy and cheap. But, not al foreign films made in Costa Rica have been negative on the country. One is the 1947 musical “Carnival in Costa Rica”. This film is not easily obtained today, but it some scenes can be seen on YouTube. 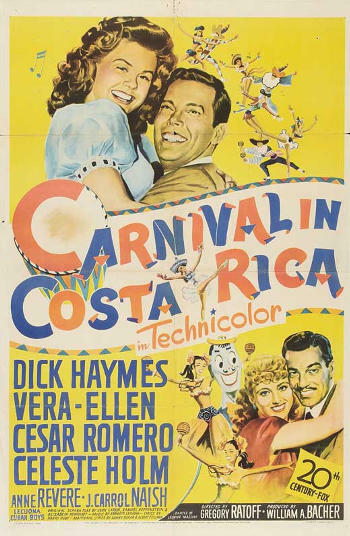 The film directed by Gregory Ratoff and written by Samuel Hoffenstein, John Larkin, and Elizabeth Reinhard, stars Cesar Romero and Celeste Holm as two pairs of lovers who try to thwart an arranged marriage at Carnival time in Costa Rica. And then there is “Jurassic Park” by Stephen Spielberg. The film centers on the fictional Isla Nublar near Costa Rica’s Pacific Coast, where a billionaire philanthropist and a small team of genetic scientists have created an amusement park of cloned dinosaurs. For those who live and anyone who has visited Costa Rica, they can easily see, not like depicted in the move, San José, the country’s capital city is not on the beach. In 1977, the Gene Hackman thriller “The Domino Principle” leads viewers, in one scene, to believe that the Hackman character landed at the international airport in Puntarenas. However, all to do about Costa Rica was actually filmed in Puerto Vallarta, Mexico. 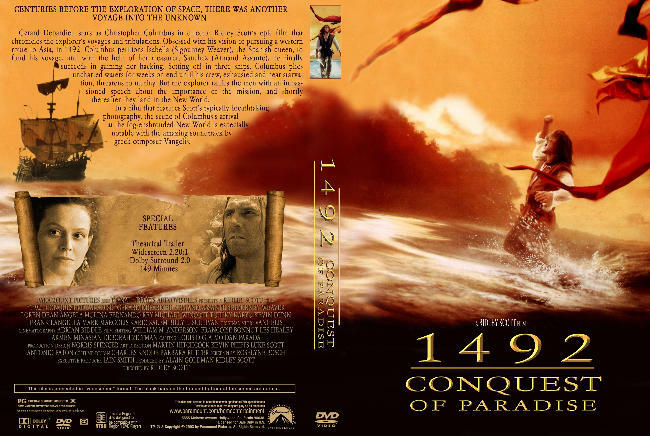 In 1992, Gerard Depardieu played the visionary explorer Christopher Columbus in the film, “1492: Conquest of Paradise” by Ridley Scott. From the artistic point of view, is the best movie filmed here so far. In it, you can appreciate the stunning beauty of the country, the beaches, rivers and forests. It was with this movie that Hollywood, for the first time, began to mention the name of Costa Rica as a new location and many producers took notice. The number of motions pictures, series, shorts and television productions in Costa Rica are numerous. The Amazing Race did an episode in Costa Rica, and the British production by ITV and shown on NBC in the US, “I’m a celebrity get me out here“, a reality television game show series in which 8 to 12 celebrities live together in a jungle environment for a few weeks. The Costa Rica segment had actors like Lou Diamond Phillips who lasted the full 24 days and Daniel Baldwin who came in on day 3 and exited on day 11, while his brother Stephen lasted 18 days in the jungles of Puerto Viejo de Sarapiquí. A number of productions, however, never made it to the big or little screen, not even on video. Another that I was personally involved with was shot in the “jungles” of Alajuela. The working title at the time was “The Tribe”, but a web search of the title, the director and leading actors, results in nothing. For now, hopefully “After Earth” whose world premiere is schedule on June 9 of this year, Costa Rica can once again show the world the wide variety of its natural beauty. Editor’s note: Through my years in Costa Rica was fortunate to hook with several interesting and talent people providing support to the American and International film industry. My role in some the films shot in Costa Rica was keeping the production crew and stars in communication with cellular phones and in some cases providing transportation (limo) services.